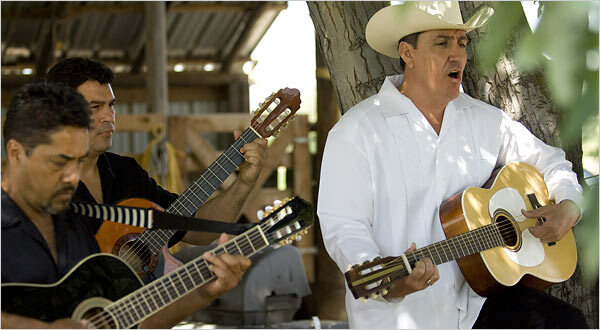 On a holiday-like note, we wanted to point you in the direction of a New York Times article that looks at how Mexican "corrido" music has been translated into Chicano culture here in the United States. We're sure that the lyrics and story will be of interest to readers of our blog. Why do they think it's a point of pride that their own country doesn't want them and is so crap that nobody wants to live there? You think they'd be ashamed of the fact that they have to violate the US's sovereignty in order to live decently. What is your comment in reference to? What do you not agree with? rethinkimmigration.blogspot.com is very informative. The article is very professionally written. I enjoy reading rethinkimmigration.blogspot.com every day. I loѵe to studу the trivia of these things, that's what makes this site stand out. Things other bloggers forget.